The Nigerian Civil Aviation Authority, NCAA, has suspended the operations of Bristow Helicopter’s aircraft type SikorskyS-76C++ after yesterday's crash. The Director General of the Nigerian Civil Aviation Authority (NCAA), Captain Muhtar Usman, stated this while speaking to aviation reporters at the NCAA Annex, Murtala Muhammed International Airport, (MMIA) yesterday. audit is carried out on it. 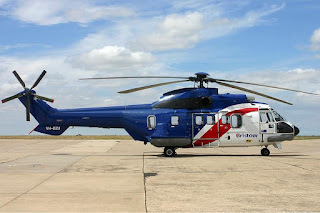 Bristow Helicopters have had successive air mishaps on the Lagos coaster waters with its SikorskyS-76C++ aircraft type within the last six months, one in August 2015 and one yesterday.